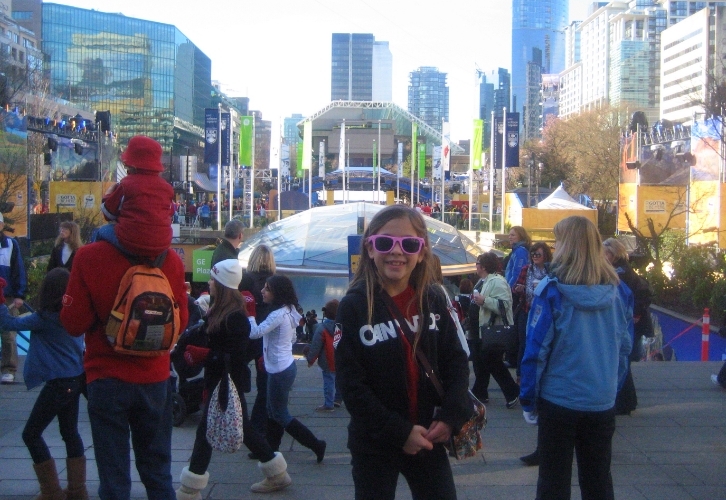 This was the day we spent as a family at the Olympics in Vancouver in 2010. We had an awesome day and found the city to be very friendly! Recently I was listening to a morning radio show and the question was asked, “Is Vancouver a friendly city?” Listeners started calling in and I was a bit surprised to hear that most thought that Vancouver was NOT a friendly city. One listener actually said that she had moved to Vancouver a number of years ago from the Prairies and had made very few friends and felt that Vancouverites preferred to keep to themselves. Interesting….I thought Canadians and Vancouverites in particular were considered to be friendly. Hmmm…. Here are a few of my experiences…. 1. Bangkok – we had an amazingly positive experience. We travelled there just over 4 years ago. We found hotel employees, restaurant servers and merchants to be very friendly. However, we were travelling with young kids with blonde hair, so they were a bit of a novelty. We also know some people from Bangkok, so they had directed us where to eat, shop, etc. However, I still found people on the streets to be friendly and willing to help, even if they couldn’t understand me. 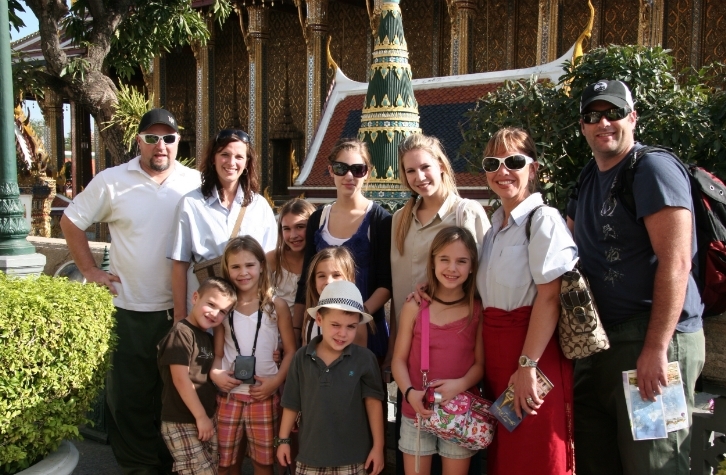 Here we all are at the Grand Palace in Bangkok. Our kids at the time ranged in age from 4-9 years old. They were amazing travellers and people in Thailand treated them like royalty! We also brought along two amazing young ladies who helped us with the kids. It was perfect for crowded streets and subways…..each child had one adult to hang on to! 2. New York – 50/50. This last trip when Lo and I went with our mom, people could not have been friendlier. Now, we did stay at Mr. Trump’s hotel in Soho (mom treated us! ), and he’s obviously doing something right because I’ve never come across such accommodating hotel staff….ever!!!! They offered us the hotel car (yes, it comes with a driver), several times. We also found wait staff in restaurants to be super friendly, ranging from uber casual burger joints (Five Napkin Burger) to the highly acclaimed Bouley (warm…not stuffy…seriously the BEST meal of my life!). Retail staff couldn’t have been more helpful. 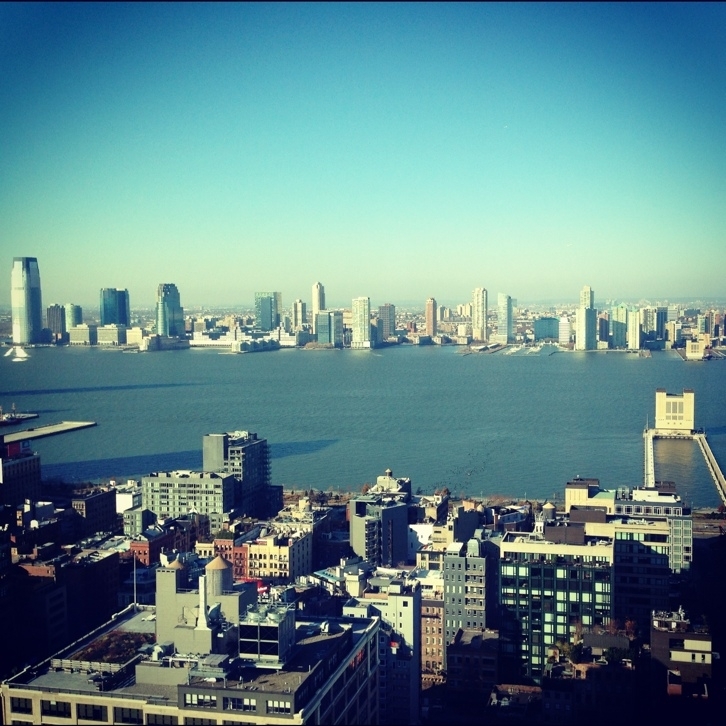 This was the stunning view from our room at The Trump Soho in New York! However, I do recall other trips to New York where Laurel literally was yelled at for taking the wrong latte by staff at a gourmet coffee shop and scuffles in the subway station, never mind being banged around the sidewalk in Soho on on Sunday afternoon. Oh, and watch out crossing the street….they WON’T stop for you! So I’d say New York is a bit of a draw….but still one of my favorite cities to visit! 3. Rome – when we went to Italy in July, I fell SO in LOVE!!!! It’s a place that I dreamed of and still do!!! And I really enjoyed Rome….but friendly….hmmmm….Well, there were some good experiences, like when I was offered the “good” indoor bathroom at the street cafe we ate at and then sent off with a, “Ciao bella!”. Ok, LOVED that! But shopping….considering that most of Europe and Italy in particular are in a rather deep economic slump, I thought that retailers would be anxious and willing to help. I was willing to spend money! But rather, I felt like I was inconveniencing them when I asked about sizing or in some places, even when I just walked in the store!!! Often, we weren’t even acknowledged. Weird! I didn’t get it! And driving in Rome..well, good luck with that! We rented scooters one day….it was fun hanging on behind my guy, but I think I said, “We are all going to die!” about 500 times! Roundabouts, scooters, cars, buses and pretty much no lanes! But despite all of that, I’d still go back in a heartbeat! 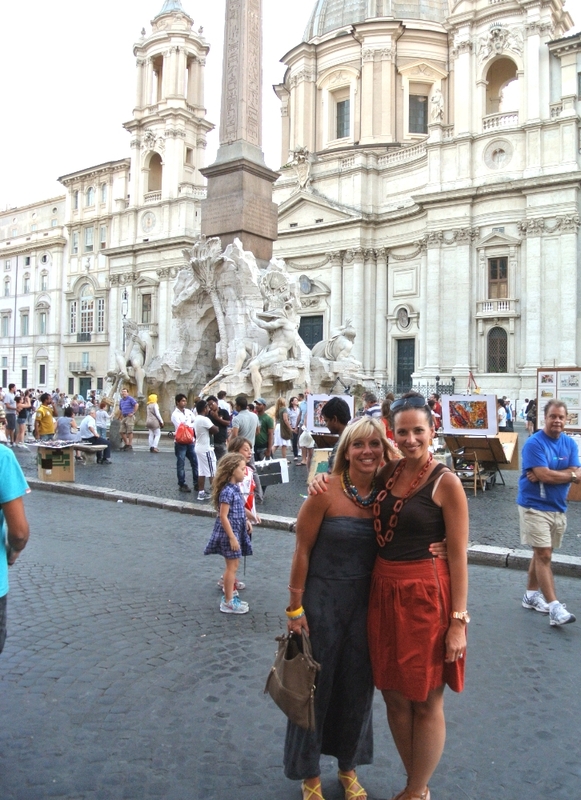 Laurel and I at dusk in the Piazza Navona in Rome…one of the world’s most famous squares…only pedestrian traffic. Great food and lots of artists! And here’s just a bonus pic to brighten your day!! We drove from Rome to Tuscany and we saw these amazing fields of sunflowers. I had watched “Under the Tuscan Sun” on the flight to Italy so I couldn’t resist…. What have your experiences been? Do you think Vancouver is a friendly city? What cities have you visited that have been friendly? Please write your comments here on the blog (and not on our Facebook page) so that all of our readers can follow the conversation! We can’t wait to hear what you have to say!